Light spectaculars are as much a part of the holiday season as visits to see Santa at the mall. And while many cities have impressive displays, few can rival the sheer scope of the show put on at Callaway Gardens in Pine Mountain, Ga.
With 15 different scenes using somewhere between 8 million and 10 million bulbs over five miles, the “Fantasy in Lights” show has been recognized by National Geographic Traveler as one of the 10 best places in the world to see holiday lights. But putting together an event of that caliber takes a lot of time — and even more work. 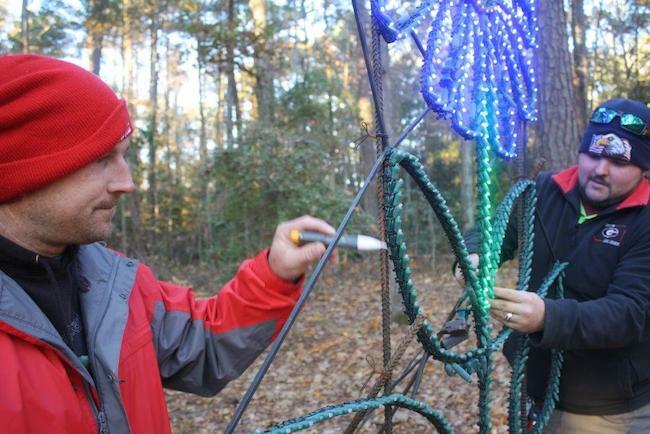 Here’s a look at how the team of Santa’s Southern Helpers gets the show ready.